The all new Generation 2 Walkers are masterworks of engineering. Inspired by the pursuit of perfect function and anatomical precision, the dynamic re-design delivers a new level of comfort and performance that stands without rival. Gen2’s ergonomic pump and integrated single push-button release eliminate the out-dated twist valve and inflation bulb system. Furthermore, the new patient-friendly pump is contoured and repositioned to eliminate the pressure and discomfort associated with typical pneumatic walkers. This amazing new system has rendered every other pneumatic pump obsolete. Introducing the ShockpodTM. The world’s first energy retaining structure designed specifically for walkers. 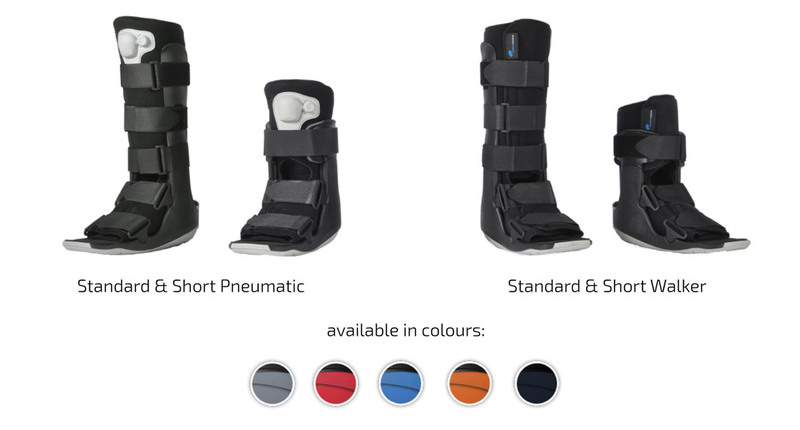 With the ShockpodTM, an incredible 50% less energy is transferred to the injured limb upon heel strike. The result is an outstanding level of patient comfort that feels and functions more like a high end athletic shoe. It just makes sense. Patients are instructed to elevate injuries (R.I.C.E.) The Sure-GripTM Stable Resting Surface, exclusive to Gen 2, provides stability and prevents the limb from slipping when elevated. 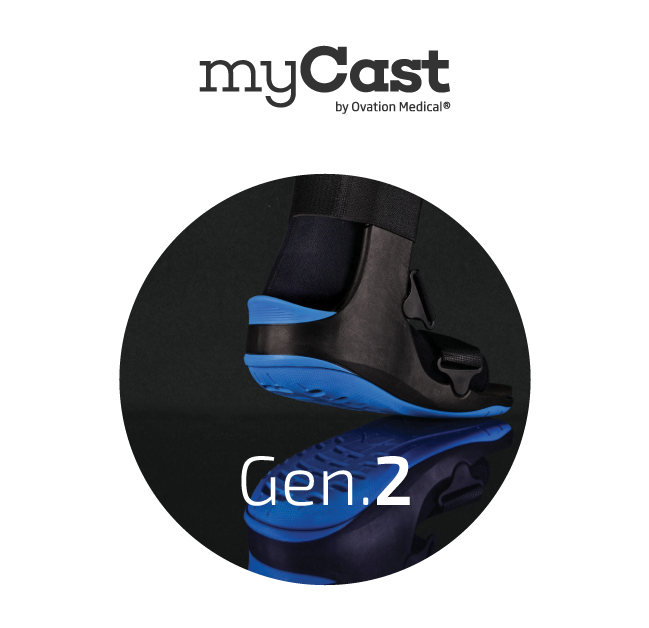 Beautifully fashioned and purposefully formed to reflect the natural anatomical curves, Gen 2’s edgeless Intuitive SoleTM naturally adapts to your patient’s individual gait pattern. The result is a remarkably fluid and efficient stride with complete balance and mobility. This is exactly how it should be. The Gen 2 walker sole virtually eliminates leg length discrepancy. The result is dramatic. 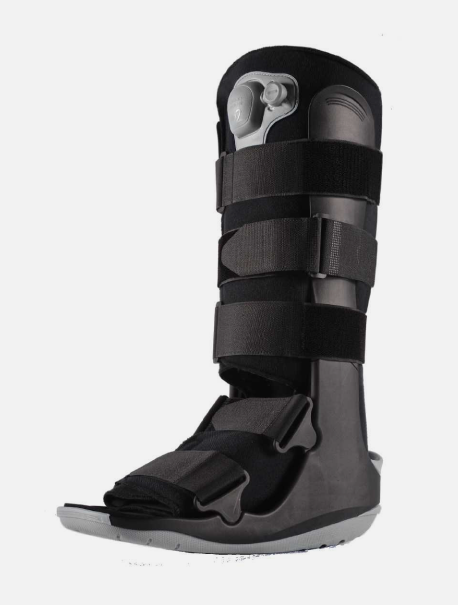 Your patients no longer need to tolerate the discomfort of high profile walkers. Every detail has been refined. Fashioned out of an engineering grade composite material, Gen 2 is remarkably light-weight yet extraordinarily durable. The uniquely tailored frame is sculpted to comfortably accommodate the wide variety of patient shapes and sizes. There has never been a walker that is better designed to the patient’s needs. Our Research & Development team is comprised of the most creative, experienced, and talented designers in the industry. Ovation Medical continually delivers innovative products that provide superior benefits to injured people all over the world.